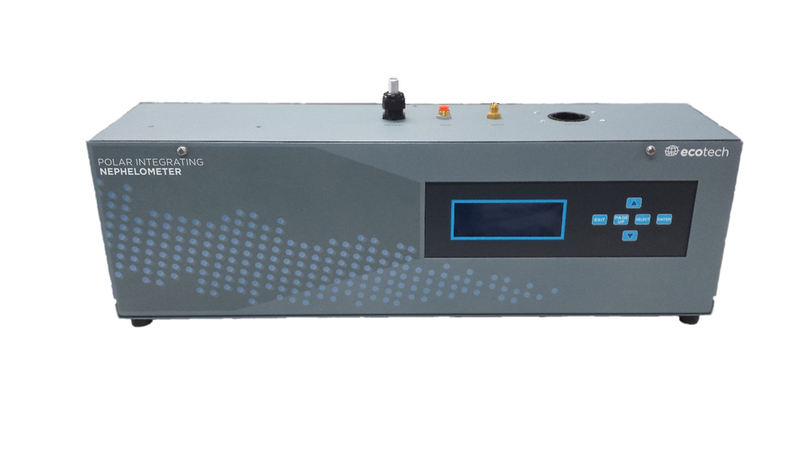 Aurora 4000 is the only commercially available polar integrating nephelometer in the world. It automatically measures light scattering from aerosols in different angular sectors by varying its backscatter shutter’s position. Used for deriving the aerosol asymetry parameter. The Aurora 4000 is the only commercially available polar integrating nephelometer in the world. It uses the same three wavelength technology as Ecotech’s Aurora 3000 nephelometer but also automatically measures scattering in different angular sectors by varying its backscatter shutter’s position. The Aurora 4000 polar nephelometer provides more specific light scattering measurements from any angle between 10° and 90° up to 170°, with up to 17 different angles per measurement. This extra measurement provides comprehensive data allowing a greater characterisation of aerosol scattering than the basic backscatter measurement. Using an innovative LED light source, the Aurora 4000 simultaneously measures at 525nm (green), 450nm (blue) and 635nm (red) to enable wide and in-depth analysis of the interaction between light and aerosols. Programmable number and value of angles, from 2-18 and 10 to 90°. High powered LED light-source increases measurement accuracy. 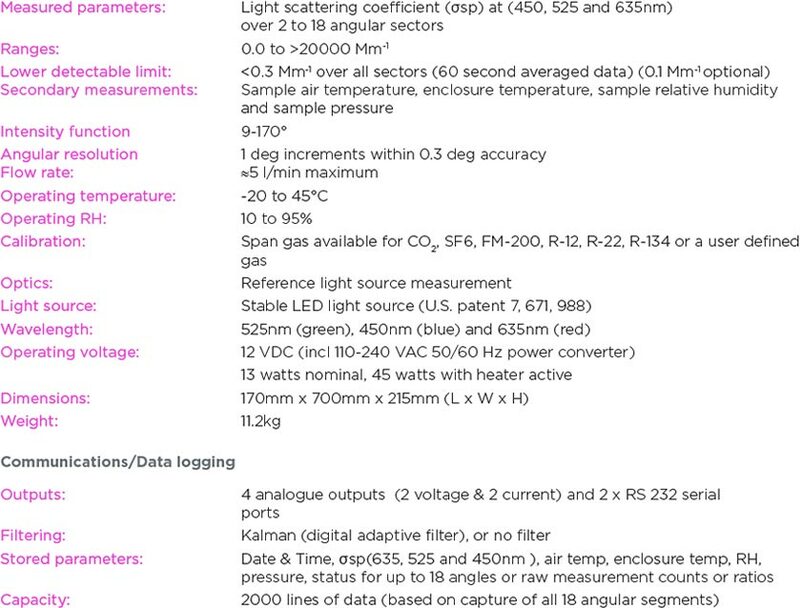 Single light source and detector used for each sector measurement. Facilitates a wide measuring range (0.0 to 20 000 Mm-1). Internal 12VDC sample pump or optional external pump. Easy automatic calibration, ensures repeatability of measurement. Internal sample heater with temperature or RH control, which can be enabled by the user to eliminate the effects of humidity RH: <30% to <90%). 12 VDC operation (60 watts max, 15 watts nominal). Fully automatic zero and span calibrations. Low power internal 12V sample heater. Long lasting low power LED light source. No bandpass filters to be replaced.